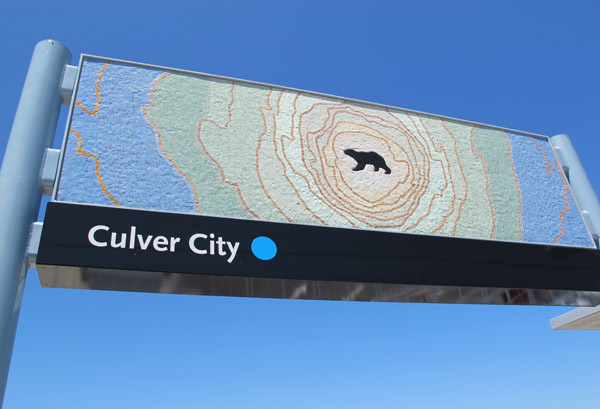 Tom LaDuke’s artwork for Culver City Station expresses a dreamlike vision of Culver City and honors those who had an influence on its development. Panels above the seating areas center on icons from the city seal—a bear, a flower, a motion picture industry camera and the sun, while gateway arches present panoramic views of the city as seen from surrounding hillside viewpoints. Abstracted face shapes of historic, political and entertainment industry notables that have influenced the city appear in each of the art panels. These include entertainers like Elizabeth Taylor and Lucille Ball, and the city founder, Harry Culver. Their placement is determined by the notes of a musical score, composed by the artist while riding the train. 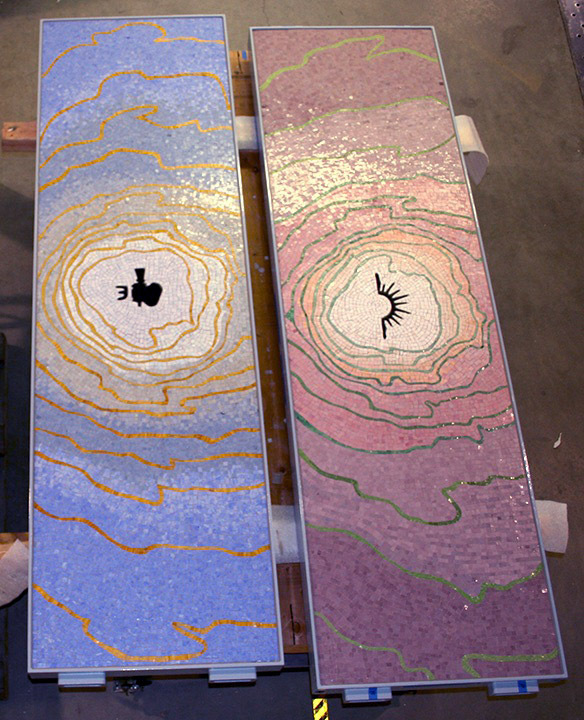 Two of the seating module art panels at the fabricator’s shop. The panel on the left shows a motion picture industry camera, and the panel on the right depicts the sun. 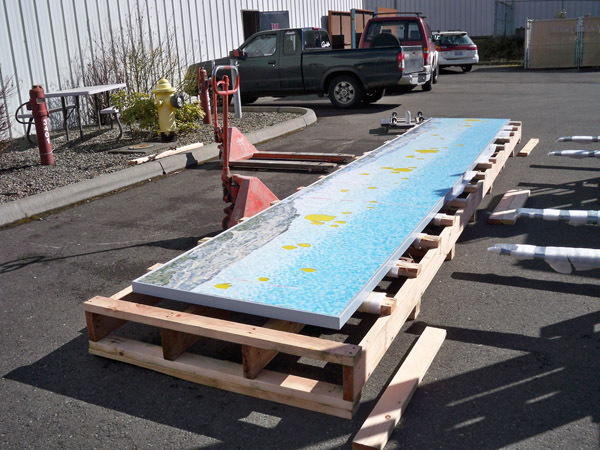 Art panels being loaded onto a crate, ready to be transported to Culver City Station. 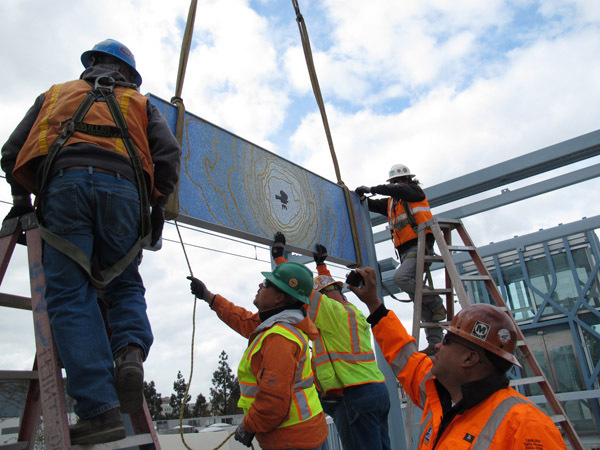 Art panel hanging from a crane during installation.